Waking up at 5AM to make sure our dog got a bathroom break before we departed, we loaded up the Focus and made our way to the Autry Center as the sun was making its way into the gray, gloomy sky. Traffic was, fortunately, very light and we made excellent time. 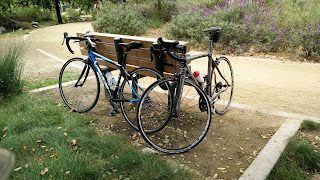 The LA Zoo, also located on the grounds of Griffith Park and conveniently only steps from the Autry, provides EV charging so we were able to take advantage of that while we did the ride. Grabbing our registration packets, we made the rounds of the vendors, stocking up on snacks to carry on the ride. Promptly at 8AM, they had all of us gather at the start and after a brief intro from LACBC's executive Director, Tamika Butler, we were given the go and our ride started. The weather was chillier that expected, hovering in the low to mid 60s while a light drizzle seemed to follow us wherever we went. Racing down the hills of Griffith Park to the streets of LA, we wound our way around the city, making our way south and spending a fair amount of time running parallel to or, at times, over the LA River. Without closed streets, riders were much more cautious and nobody was taking any risks by running lights or taking the lanes without due caution. Drivers, especially early in the morning, were largely courteous. The rather random parade of bikes, ranging from full-on race bikes to laid-back cruisers to full-suspension mountain bikes, made solid progress all way to the Paramount turnaround and then traced a near identical route back, The final six miles being the only part that differed, taking a much less hilly route along the river back to the start/finish marker. In general, the ride was actually pretty easy, with a relatively flat profile and a total of 922 ft of climbing over the 53 miles distance. There were numerous railroad crossings, which probably posed more danger than just about any other section of the ride. While mostly downhill on the say south, the return ride was technically largely uphill, but with such a gentle grade so as to be largely unnoticeable. While close calls were largely avoided, we did spot a few instances where medics had been called out to tend to downed riders and a few riders who had mechanical issues that could not easily be resolved with a roadside fix. some time now so it might be time to make a switch. 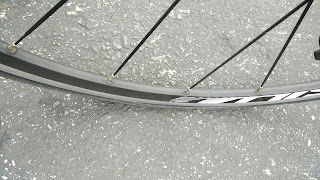 I had my own last mile calamity when my rear tire, already problematic from earlier in the ride, gave up and went totally flat literally one mile from the end. The leak seemed slow enough that I blasted it with a CO2 cartridge and rode it gingerly while it got flatter and flatter, making the final mile, including the last hill to reach the bridge to take us to the finish line. My rear tire is toast so it might be time for a set of Gatorskins. For those wanting to participate in a large event and who do not want to be saddled with doing extra fundraising, this is one of the best events for that. Plus, once you finish, put away your bike and take a stroll around Griffith Park or take a visit to the Autry Center or the LA Zoo. 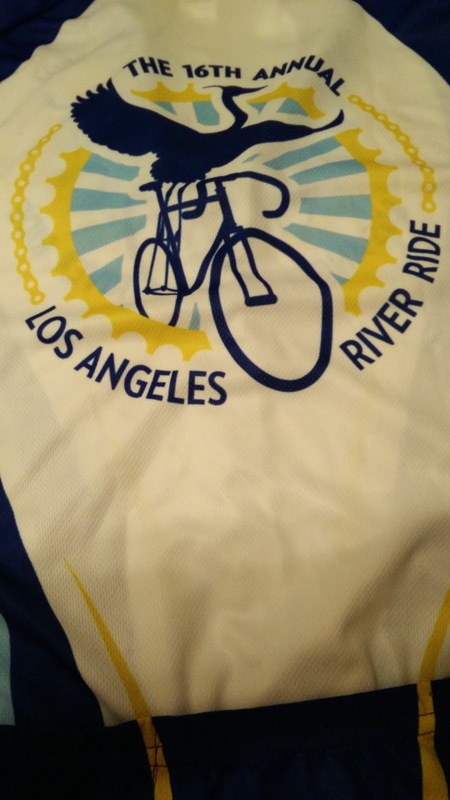 And as an added bonus, participation in the ride also gets you membership in the LACBC, which seeks to make cycling and pedestrian access better for everyone all throughout Los Angeles County. Editor's note: In the interest of full disclosure, I do serve on the steering committee for one of LACBC's local chapters, but the opinions expressed in this article are all my own and are not in any way representative of the LACBC or my local chapter.